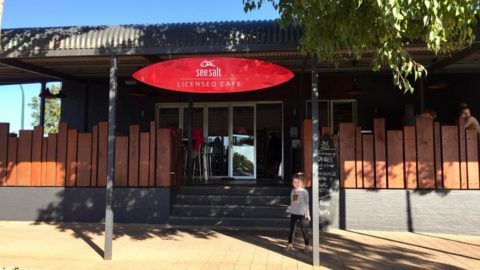 Are you looking for a family friendly restaurant in Fremantle? Whether you fancy fish n chips at the harbour or a casual brewery lunch, there’s so many delicious possibilities in the port town. 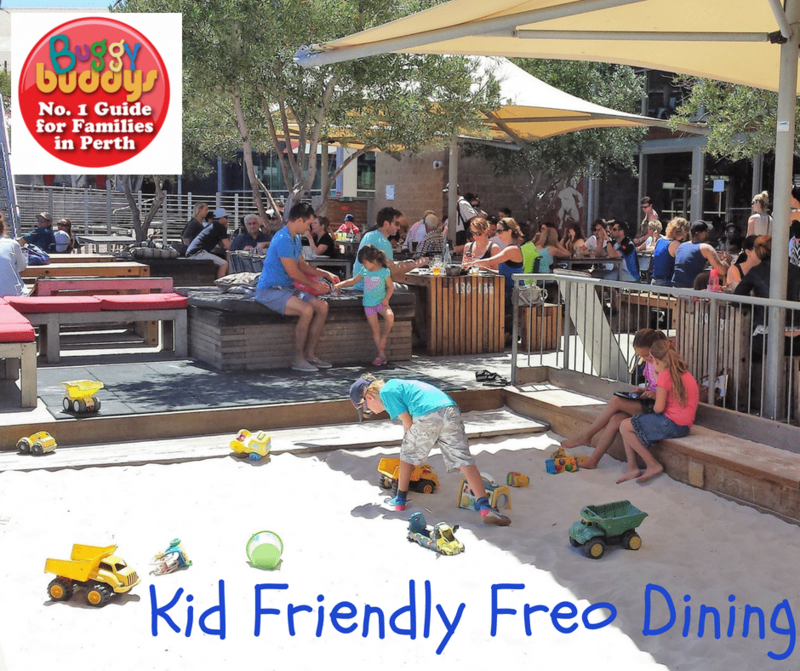 Buggybuddys has the ultimate list of your favourite kid friendly cafes, restaurants and eateries in Freo! 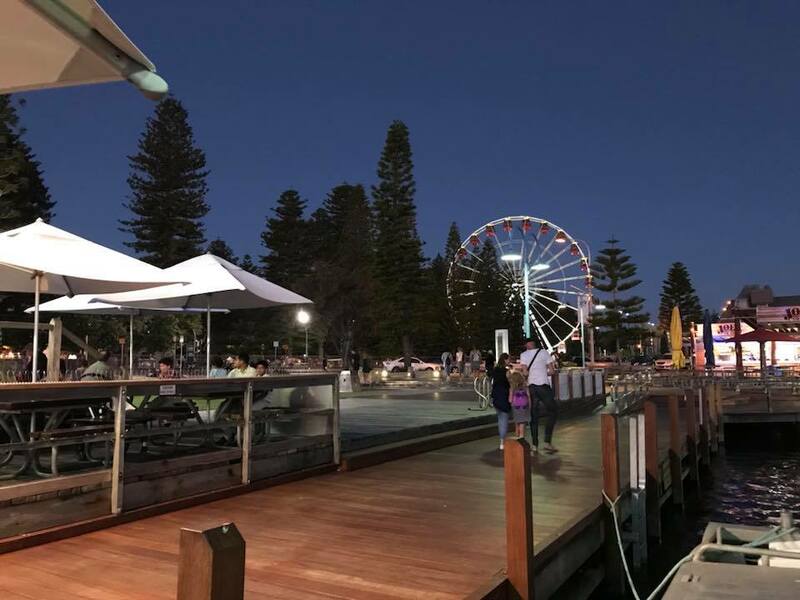 The always bustling Little Creatures Brewery has an outdoor deck with views over Fremantle Fishing Boat Harbor. It’s very easy to spend a few hours relaxing here while the children play in the huge sandpit filled with toys and you enjoy a beer and a bite to eat. The kids agree their gourmet pizza is delicious! Moore & Moore is home to a café, contemporary art gallery and a working art studio. 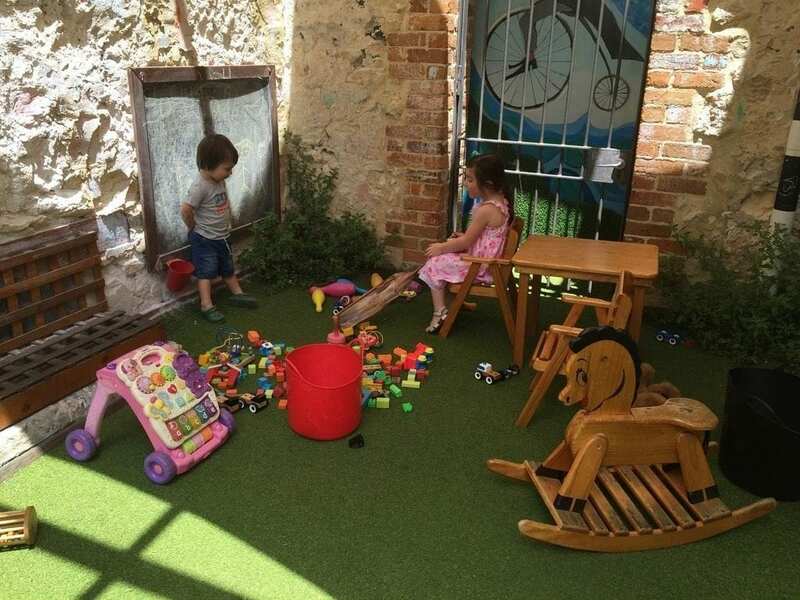 Nestled in the courtyard is a kid’s corner with a blackboard, toys and cars. They are also two mini benches that they can sit at while enjoying a babycino. On the menu expect all-day breakfasts, homemade cakes and quick bites. 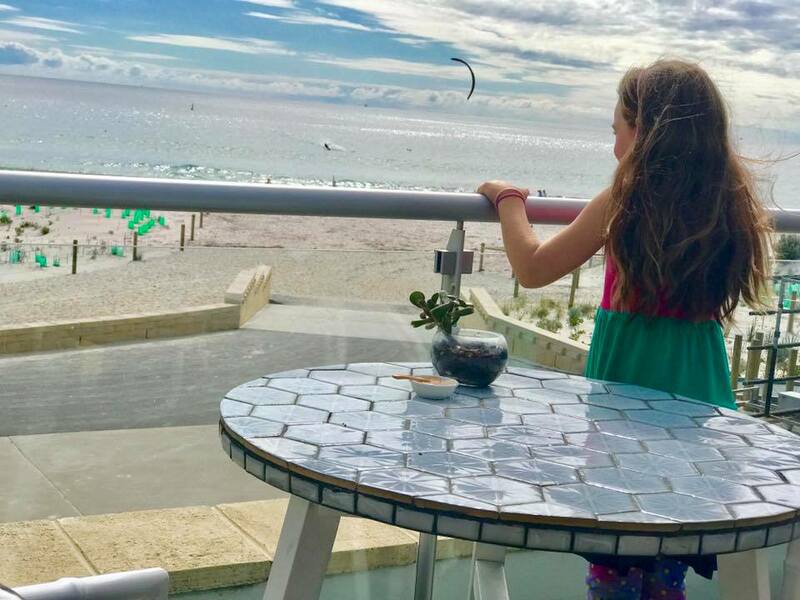 Looking for somewhere to dine by the ocean, has fantastic food and is kid friendly too? Bib and Tucker is your answer! 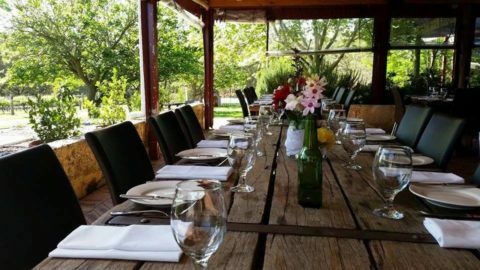 Tucked in between sandy white dunes, Bib and Tucker offers modern Australian cuisine with a focus on local fresh produce. There’s kids activity packs and a yummy menu for little ones too. No trip to Fremantle is complete without fish n chips at the iconic Fishing Boat Harbour! Kailis, Joes Fish Shack and Cicerellos all offer the best of the port town’s amazing seafood in relaxed venues, overlooking the busy harbour. You can also enjoy other freshly caught seafood including oysters, mussels, crabs and crayfish. See our reviews on Kailis, Joes Fish Shack and Cicerellos. Hot diggity dog! Kids LOVE hot dogs, making Run Amuk in Fremantle a family favourite. Their gourmet hot dog menu is sure to tempt the whole family. 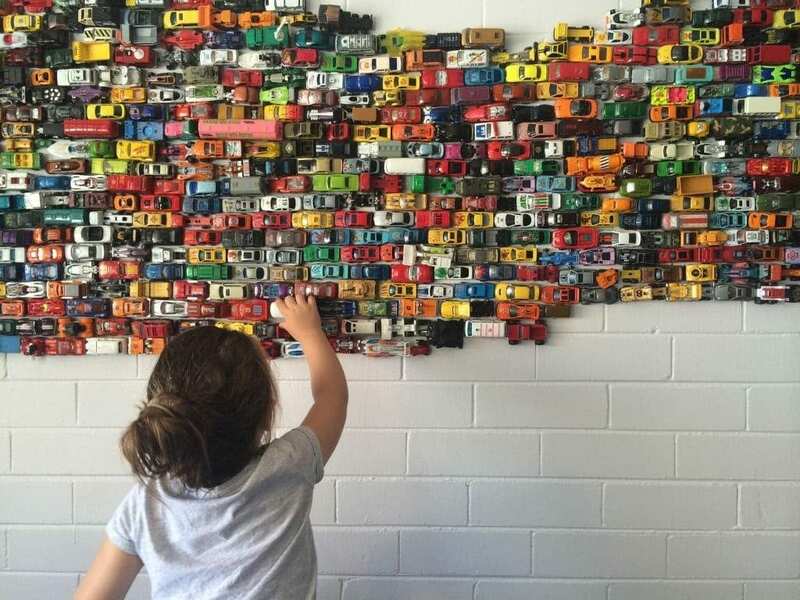 Little ones will love the cool “car wall” as well as the super yummy “puppy dogs”! And be sure to save room for a knickerbockerglory dessert. 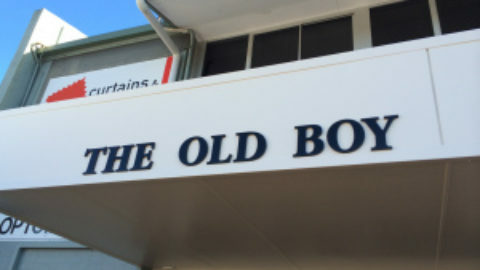 Address: 386A South Terrace, South Fremantle. 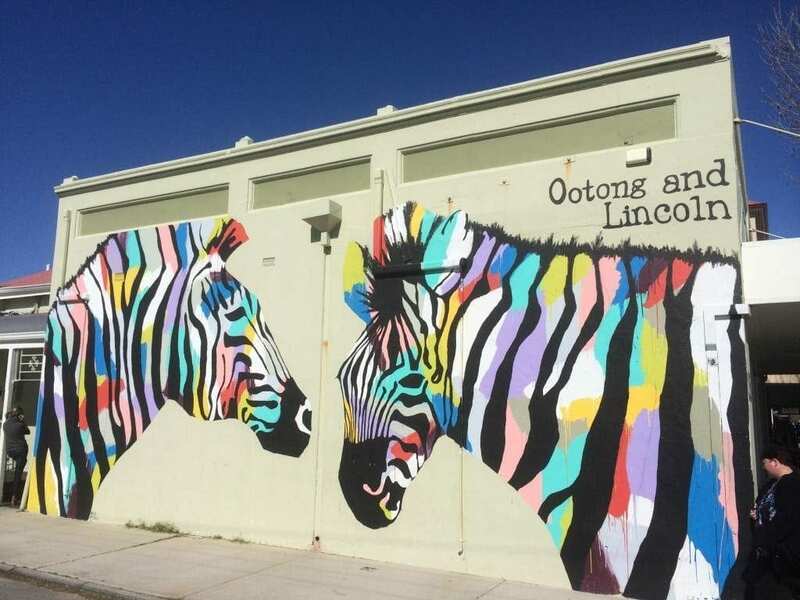 You can’t miss this quirky South Freo café, with its famous Anya Brock zebra mural on its exterior. 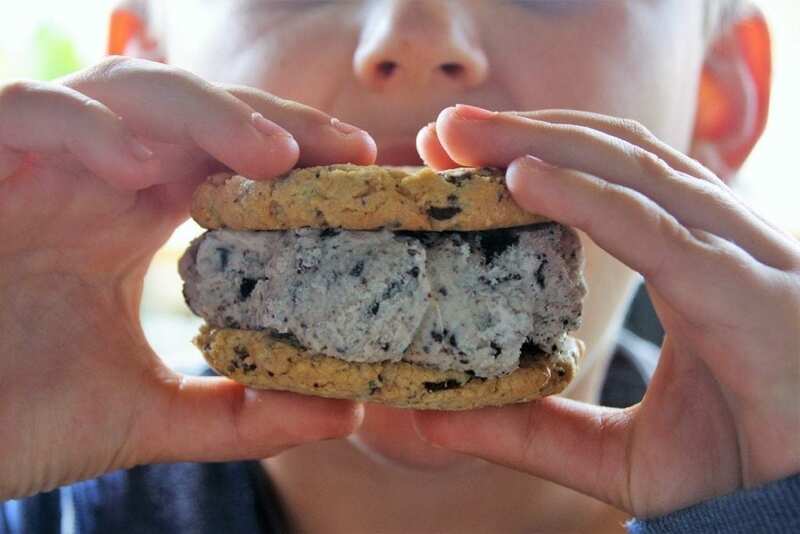 Ootong & Lincoln makes everything in-house using local, organic ingredients. The retro shabby chic space, with mismatched chairs, exposed brickwork and tricycles haning from the ceiling has a small play area with toys. Love pizza? 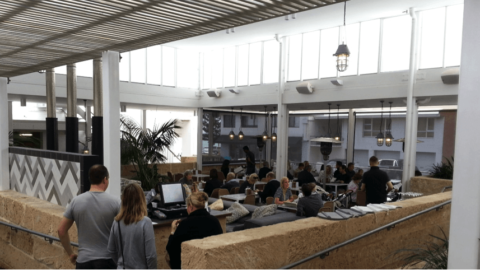 Tasty Magna Pizza is found at The Mantle, a converted warehouse overlooking Freo’s Port. It’s a haven for foodie families, with more than one taste bud tempting venue to eat at. 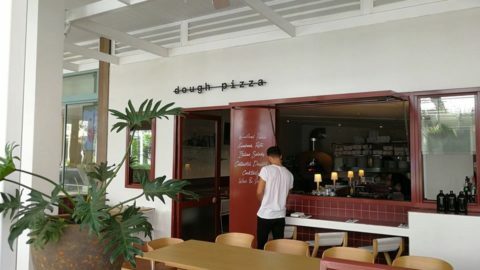 Save room for their delicious dessert pizzas and there’s ping pong and blackboards to keep kids occupied. Address: The Mantle, 1 James Street, Fremantle. The historic Left Bank is a top spot for a family lunch on a sunny day. 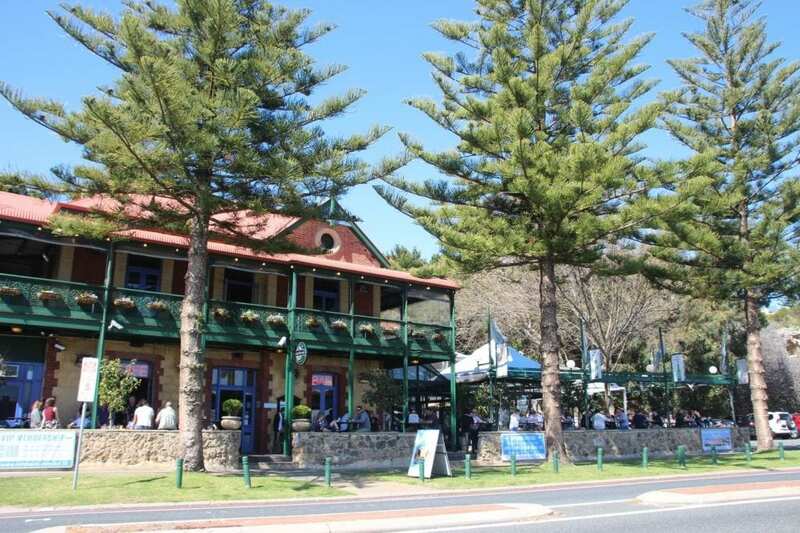 Overlooking the Swan River, the pub is a lovely spot to spend a couple of hours with your little loves, enjoying a lazy lunch! Kids get a free colouring in activity pack along with their yummy meals. Look out for The Left Bank’s kids night and kids also eat free deals too. 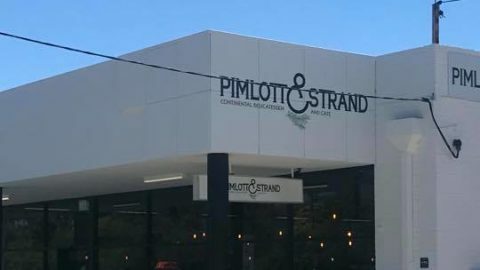 Address: 15 Riverside Road, East Fremantle. 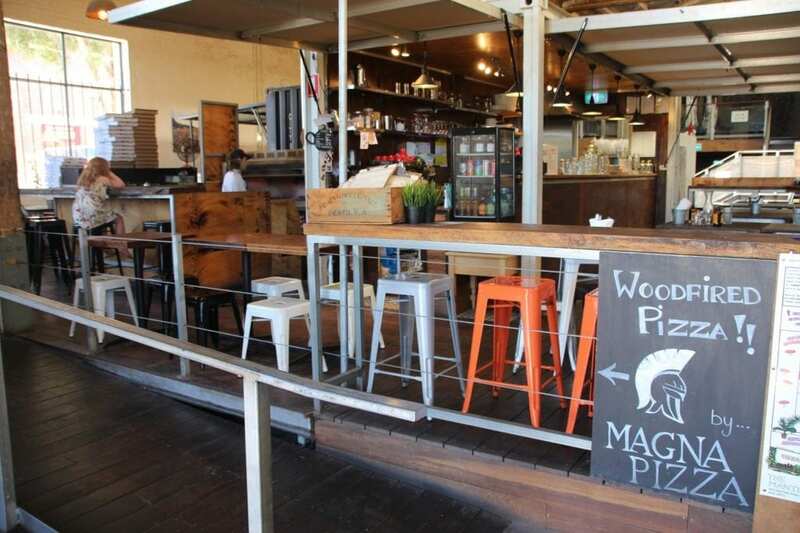 Piggy Food Co is a delicious eatery in the heart of North Freo’s food hub. The kid friendly spot serves up casual South Californian/Mexican fare, craft beer and a great atmosphere. 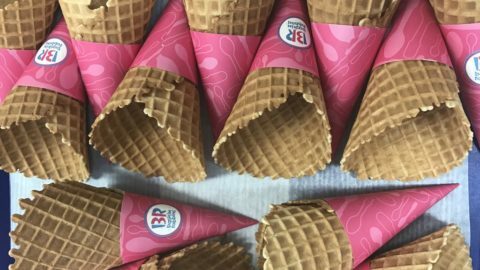 The food is particularly friendly for those with gluten intolerances and their ice cream sandwiches are not to be missed! 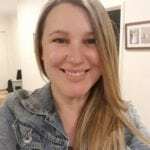 Address: 229A Queen Victoria St, North Fremantle. 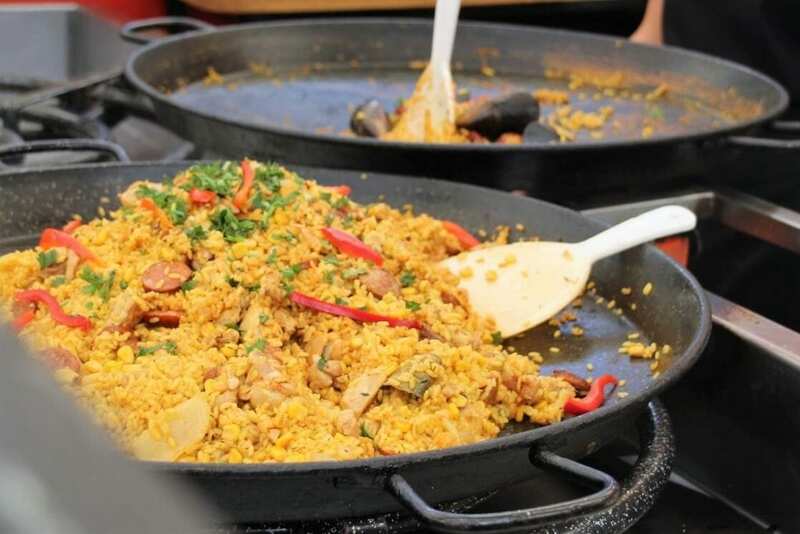 If you still haven’t found somewhere to tickle your family’s tastebuds, you’re sure to find something scrumptious at the historic Freo Markets! The markets are a foodie destination in themselves, with unique muffles, candy floss with a twist, bao, Korean fried chicken, bratwurst, paella, decadent doughnuts, Honeycake, gozleme, sushi and much, much more! 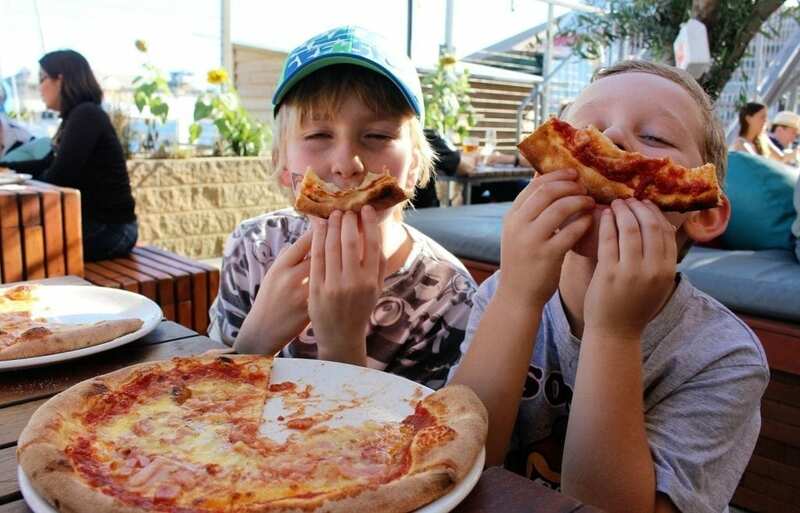 What’s your favourite family friendly restaurant in Fremantle? Tell us in the comments below!